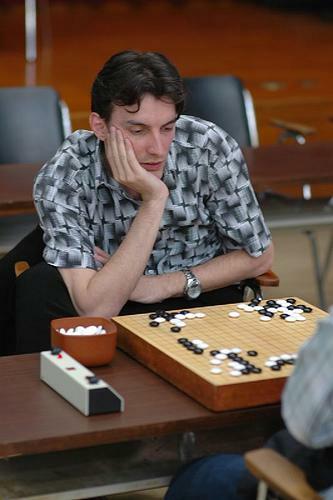 Here is his recent game with V7, IGS number 4. He is the last Korean top player on IGS. "bee", 9-dan was the second one, but his account expired. It was an easy game for Cornel! That's nice: someone progresses so the most obvious answer is that the entire server is getting weak, rather than an individual getting results from hard work?